Arlington is one of the most popular cities in Texas and is also one of the most preferred tourist destinations too. Charter Bus Arlington takes you to the top destinations for tourists, great dining establishments, quality accommodations and amazing local hospitality. Contact us now, (214) 206-9269. Traveling to and from one destination to another is a huge challenge especially if you with a group. You end up getting stressed and worried when you take public transport service turning your vacation into a horrible time for you. This is why a lot of vacationers and tourists prefer to use charter bus Arlington, TX service. Why choose charter bus Arlington? Charter buses are the best ways to travel especially when you have the family along. There are so many features that you will surely love such as ultra-comfortable seats that can recline if you wish to rest, air conditioning that may be manually adjusted, flat screen televisions where you could watch DVD movies and even Wi-Fi so you can access your mail, update your social media accounts and surf the web as you travel. If you want to really have fun, try our Arlington party bus rental! You will definitely be fresh and relaxed when you arrive to your destination. What Charter Bus Rentals in Arlington are Available for Hire? 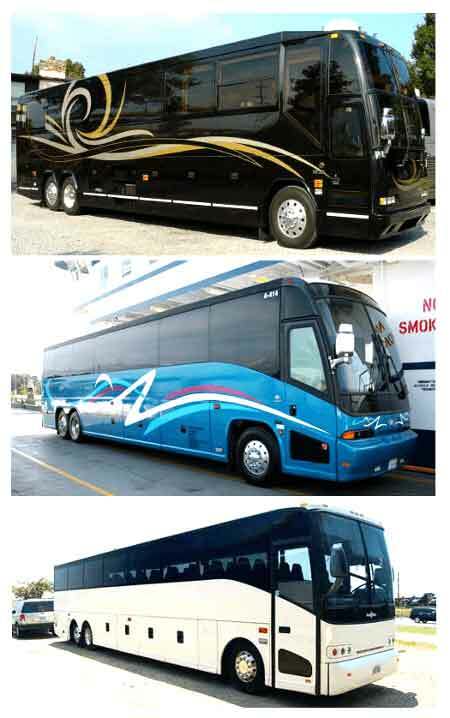 There are a variety of rental buses to choose from. For groups with less than 20 passengers, our Arlington limo service might be a better solution. If you have 20 people in your company, you can rent a small minibus. If you have 30 people, you can rent a shuttle bus. Finally, larger buses such as charter buses could carry up to 40 to 50 people could be leased. You will also feel safe and at ease as your bus is operated by a professional and experienced driver. Make a reservation by calling (214) 206-9269. What are the best tourist attractions in Arlington? Six Flags Over Texas – this is a huge amusement park with a lot of fun and daredevil rides. Take time to think which ride is best as you test your endurance and bravery! Your family will surely love to go on rides, play amusement park games and shop at the Six Flags souvenir shop. AT&T Stadium – aside from being the home court of the Dallas Cowboys, you can also watch live shows and performances here. Top musical artists and even international performers are usually the highlight of the AT&T Arena year after year. River Legacy Park – this is a peaceful and picturesque park that you simply cannot find anywhere in Arlington. Take your family for a barbecue or a picnic at the huge park grounds. You will love boating, hiking and simply relaxing on the grass here. What are bus rental rates Arlington? Rental bus rates vary according to the number of people in your company, the type of bus that you wish to rent, the destination or destinations that you want to visit and the number of days that you will rent the bus. Contact charter bus Arlington for more details. You can ask your driver to take you to nearby cities such as University Park, Rowlett, Richardson, Plano, Mesquite, Lancaster, Irving, Houston, Highland Park, Grand Prairie or Garland.